Press Release posted 6/28/12 – On Friday June 1, 2007, the Sierra Madre Fire Department, and the sitting City Council, introduced Paramedic services to the residents, business owners, and visitors of our community. This significant achievement by our City made the entire County of Los Angeles fully covered by Paramedic services. The Sierra Madre Fire Department Paramedic Program has increased the overall capability of our entire Fire Department. This program allows the Fire Department to deliver advanced life support medical treatment in the field during emergency calls for service. Advanced life support protocols far exceed the capabilities of the basic life support services provided to the community prior to the introduction of the paramedic program. This increase in capability and protocol allows our Fire Department personnel to deliver the highest level of pre-hospital care authorized by the Los Angeles County Department of Health Services. In addition to providing the scope of practice of a basic EMT (general first aid, CPR, oxygen administration, and limited defibrillation), the Sierra Madre Paramedics have an advanced scope of practice that includes the administration of multiple medications; introduction of intravenous catheters, and advanced airway devices; defibrillation, cardioversion, and cardiac-pacing; the use of CPAP devices, as well as the ability to transport patients to specialty medical centers depending upon the circumstances of the call – just to name a few of the increases in our overall capability to deliver emergency medical care. 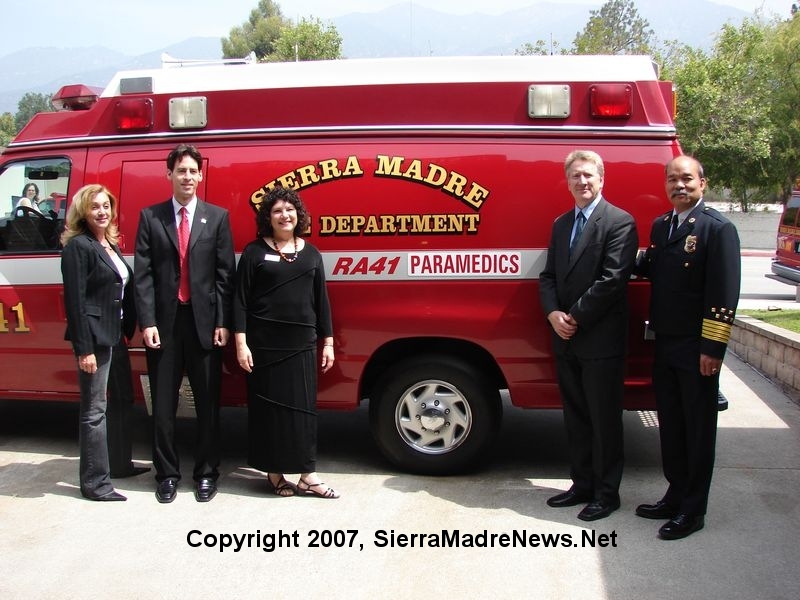 The Sierra Madre Fire Department Paramedic Program could not have happened without the original, and continued support of the community, the City administration, and the City Council. The Paramedic Program continues to be a great success due to the hard work and dedication of the men and women of the Fire Department. The Sierra Madre Fire Department currently employees 28 Paramedics, all of whom have significant experience and careers as paramedics, firefighters, and law enforcement personnel. Eleven Paramedics have been with the program since day one and continue to work for our Fire Department. These eleven Paramedics are: Tim Avila, April Campos, Greg Christmas, Esteban Estrada, Cecilia Hoschet, Luis Manjarrez, Paul Razo, Susan Sasaki, Sabrina Somma, Ryan Torncello, and Manual Vazquez. 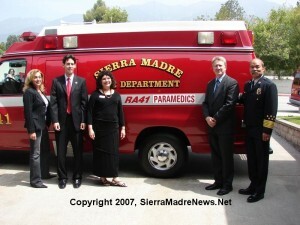 1 Comment on "Sierra Madre Paramedic Program Turns Five"